If Sir Isaac Newton were alive today, we’re pretty sure he would sign off on a physics class field trip to California's Great America. As a renowned scientist credited with many physics principles we follow today, he would know that an innovative – and totally fun – way to demonstrate the science that deals with matter, energy, motion and force is a modern-day roller coaster. We sure have plenty of those at California's Great America, so bring your students to participate in our specially designed physics, science and math educational activities. Physics, Science and Math Days occur on private operating days and will have limited operation. Planet Snoopy and Boomerang Bay water park are not scheduled to be open. What contests will be held during the event? Students can add to their fun day of learning by participating in a variety of contests. Check back soon--contests will be announced at a later date for 2019. Why do Season Passholders have to pay for admission? Season Passes are valid for public operating days. Season Passes are not valid during private events or park buyouts. What does limited operation mean? It means that not all rides, stores or attractions may be available. Will there be a teacher's lounge? Yes, we will offer a lounge area for teachers and chaperones in Great America Pavilion, located by Flight Deck. When and where will the picnic be held? What food items will be available? The picnic will take place at County Fair Picnic Grove from 12pm - 2pm. The menu will include: Beef Hot Dogs, Potato Chips, Macaroni & Cheese, Green Salad, Fruit Bar Popsicles, and Coca-Cola Soft Drinks. How do the complimentary 1 for 15 tickets work? For every 15 tickets purchased, you will receive 1 complimentary admission for that same day. Where can teachers obtain supplemental teaching materials? Workbooks and supplemental teaching materials are available at physicsday.org. What is your accelerometer policy? How many years has this event been occurring? What is the average attendance of each day? Which day is the most popular? The last day is usually the most popular for high schools. Earlier dates tend to be more popular for younger students. How do students participate in the activities? Students are tasked by their teachers to participate in a certain number of activities and contests. Afterwards, they are given a stamp to signify they participated. How many schools are attending? Historically, about 75 per day. How much is it per student to attend? 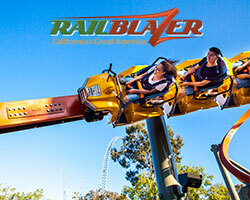 Contact youthsales@cagreatamerica.com to get started. Can students come without a school? What are the options to make sure the event is turn key so your sponsors will return each year? We can provide pop-up tents and a special sign to hang from the tent. Groups can also bring their own promotional banners and materials. Are power and WiFi provided by Great America? Only certain tent locations can provide power. Please note your needs on the exhibitor form so you can be placed in an area that suits your needs. 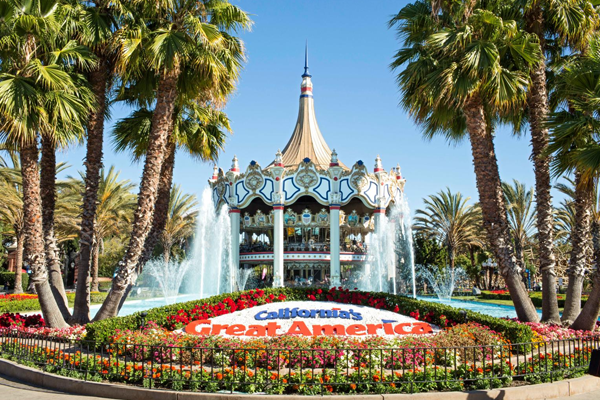 Great America offers free, park-wide WiFi. What support wll be provided to each company? 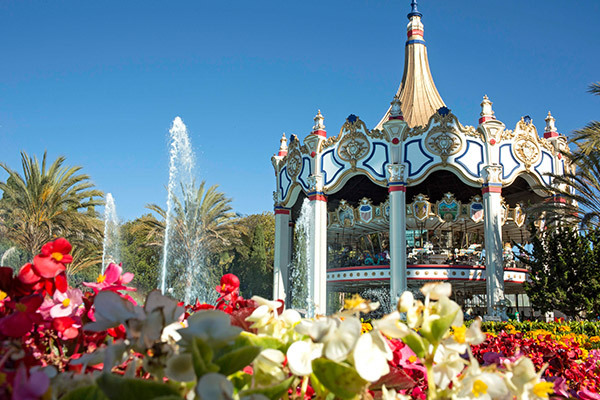 Great America has a dedicated activities coordinator to ensure exhibitors have what they need in their activities area. 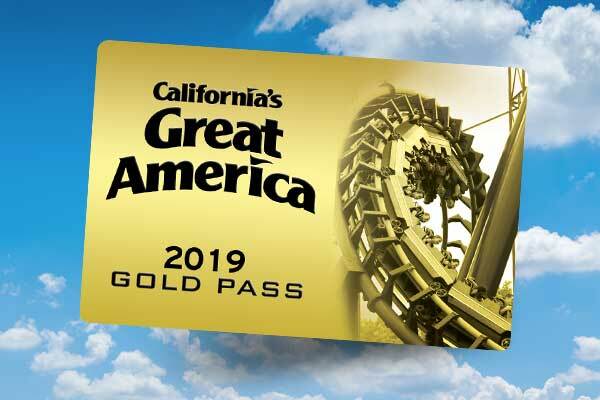 Are meals and parking provided by Great America? A meal and parking can be provided for volunteers. How does bus parking work?